F-1 Firearms is a Texas-based manufacturer of the finest semi-automatic weapon systems on the planet. Unlike most of the competition, F-1 Firearms manufactures more than 90% of each firearm using brand new, state of the art machines. Having this machining capability in-house allows us to control critical tolerances for each component across all of our platforms. This results in the ultimate in function, accuracy, and dependability. 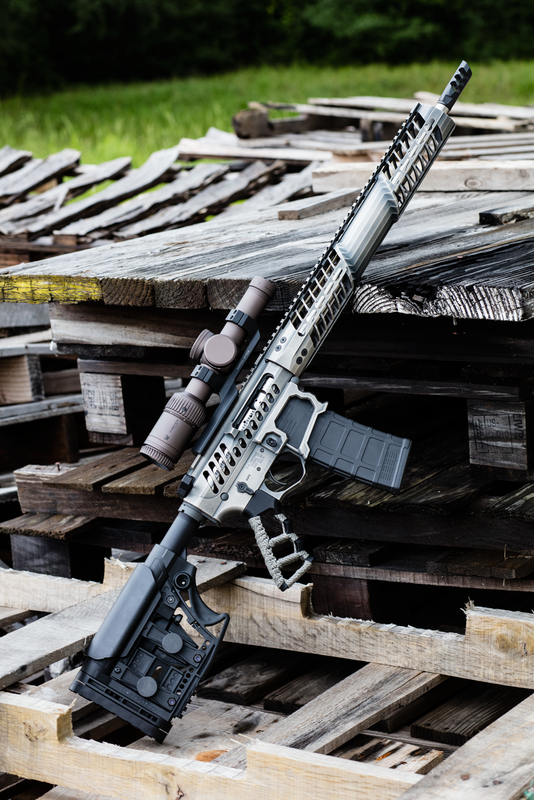 The use of premium materials, such as 7075-T6 domestic aluminum for our handguards and receivers, allows us to build our weapons lighter and stronger than the competition. Of course, low weight and high strength are just two attributes of a solid rifle platform but would mean little if the rifle isn't accurate. For this reason, we produce our 416SS barrels on our state-of-the-art barrel cell, which holds tolerances up to 0.0001”. The result is an extremely accurate rifle you can trust to hit the mark. The combination of premium materials, state-of-the-art equipment, in-house machining, assembly, quality assurance/control and testing ensures that your F-1 Firearms rifle is as accurate and dependable as it is great to look at and fun to shoot. It's what makes F-1 Firearms stand out from the crowd. Learn more about why F-1 Firearms here.